I often shake my head in disbelief that I have a daughter in college. I still picture her as a kindergartner getting on the bus in the morning like it was yesterday. The time goes so fast! You parents of older children can relate, while those of you with young ones at home may feel deep in the weeds. But the fact is that college sneaks up on you. I talk to people too often who are still struggling to pay off college loan debt and have been for decades. The class of 2015 graduated with an average debt of $35,000 per borrower, according to the Wall Street Journal, which is no way to start your adult life, especially when most grads aren’t making much money yet. All it takes is a little planning and saving by us Solo Moms early in life, and we can catapult our kids to a brighter, student loan–free life. Let time and compound interest work in your and your child’s favor. Here’s the math, put simply: an average college education at a four-year institution costs $21,109 per year for tuition and fees. Multiply that by four years, and the cost for tuition and fees is approximately $85,000. Yes, it’s a serious situation and one you need to get to work on now if you have children, no matter their age. Not to worry! 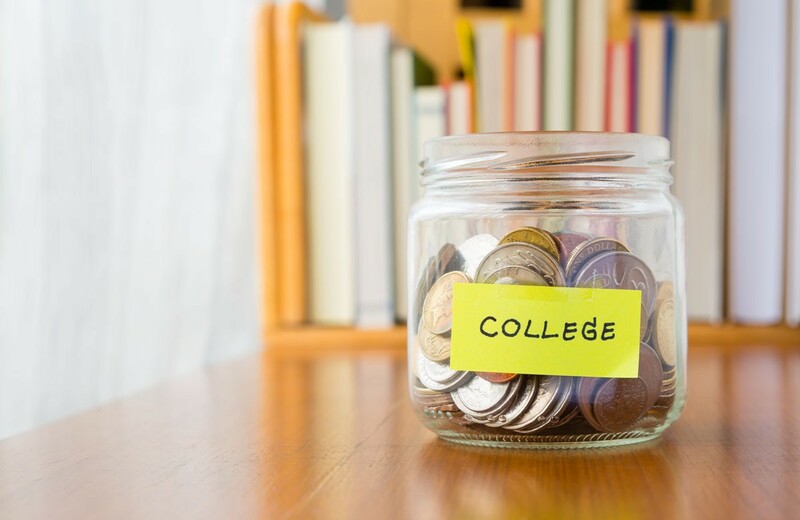 I’m here for you, and I’ve asked Susan M. Miccio, a wonderful Solo Mom friend of mine who is a wealth planner at Marshall & Sterling Wealth Advisors, to help us by sharing her best tips for saving for college. Whether you decide to open an education savings plan or not, make sure you are saving for your child’s education outside your retirement accounts. Miccio advises, “Do not fund your child’s education with your retirement accounts. This is a big mistake! We all want our children to have a good start in life; however, you should not risk your own retirement to provide an education [for] your children. You will not be able to make up large withdrawals from your investments before you retire. In addition, the timing of a withdrawal may not be good for your investments. You should continue to fund your retirement until you retire whenever it is possible. If you want to help your children, help them pay the loans down.” Remember that you cannot get loans to finance your retirement, but you can get loans to finance your child’s education, if necessary. When it comes time for your child to choose a college and a course of study, you need to set a realistic budget for her, so that you and your child can afford each year of schooling. Mentor her to choose a course of study that will provide her with the skills to make a decent living, unless you want her to live with you for another decade while she pays off student-loan debt. For example, if you cannot afford the tuition at an Ivy League university—most of us can’t—let her know that she cannot attend that institution and rack up hundreds of thousands of dollars in student loans to study for a career that will not result in a job with a salary to make her minimum loan payments. There are plenty of state universities where students can get a great education and be in a healthy financial situation when they graduate. The most important recommendation that Miccio and I have for you to make college saving easier on your budget is to plan ahead. Start saving as early as possible, and let time and compound interest work in your favor. Also, make use of all the scholarship opportunities available. Make it your high schooler’s part-time job to research and apply for scholarships. Just as in life, planning ahead and working hard will result in the life you want! These are big decisions. Did you know you can reach out to your Solo Mom Sisters for support?